Heading over to Macau with your little ones? Looking for value-for-money dining options while you’re there? 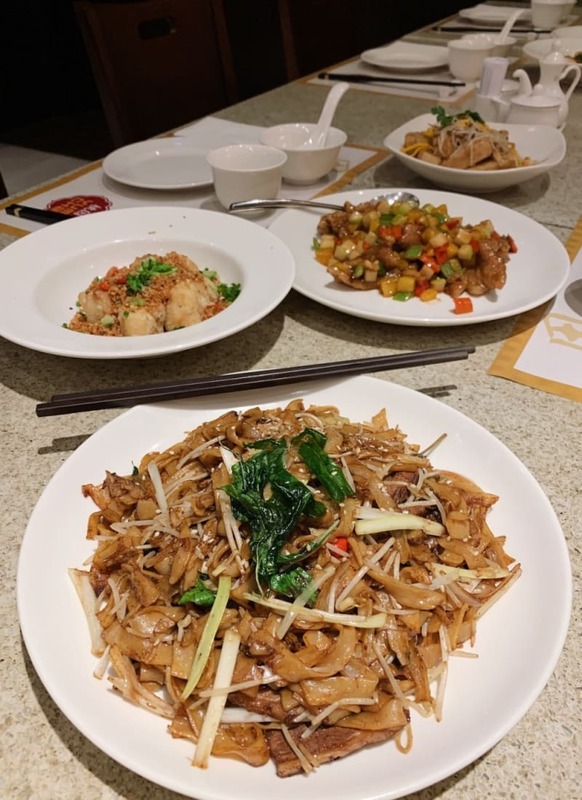 Whether you’re staying at Sheraton Grand Macao (which has access to Thomas & the Little Big Club) or just dropping by the hotel for a meal, there’s plenty to keep everyone satisfied. 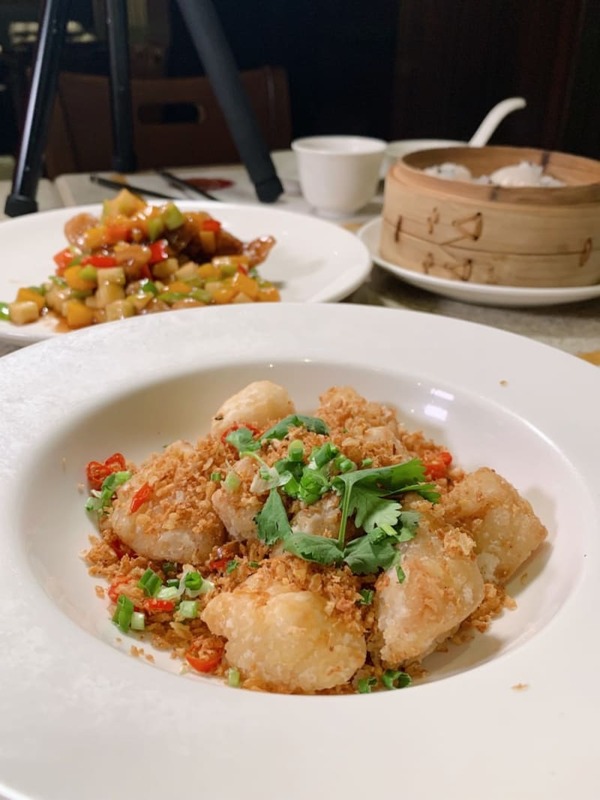 Recently, I was in Macau for less than 24 hours and managed to squeeze in three meals, trying both new launches and classic favourites. On Friday night, a group of us headed to Feast, the hotel’s main buffet restaurant. The purpose of our visit was to check out the recently launched Singapore-style Crab Bash (MOP488). It was served seafood boil style, which meant tasty, sauced seafood came in buckets and was poured over the table so that we could don gloves and eat with our hands. There were three sauce options available: black pepper, salted egg and butter with curry leaves. It was a bit of a shame that the classic chilli sauce wasn’t available, and neither were fried mantou buns. But the fresh brioche with teriyaki butter was an unexpected, nontraditional but undeniably tasty alternative. 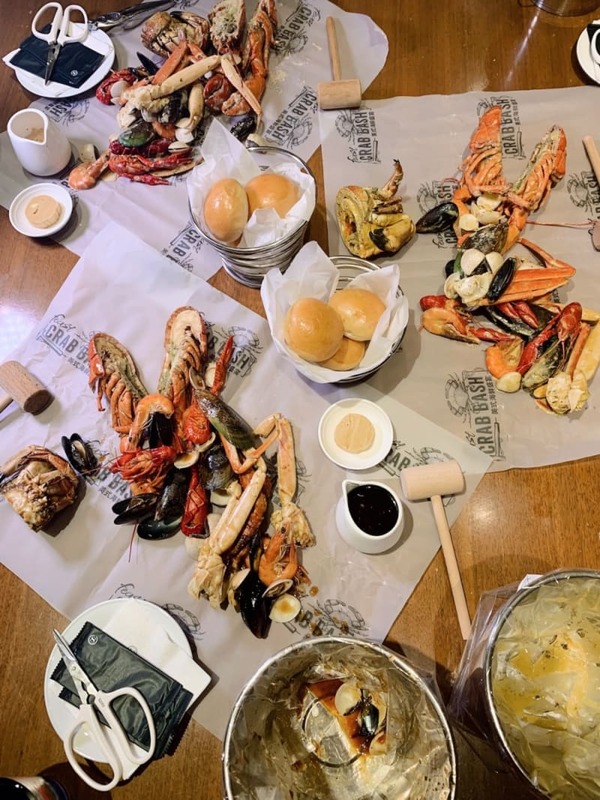 For seafood lovers, the buckets are refillable, but guests also have free rein of the main buffet. Loads of other Singaporean delicacies are available including rojak, bak kut teh and kueh. There are also the standard Japanese, stir-fry and carvery stations. Don’t miss the flavourful Indian curries, especially the spicy fish, or the tofu pudding. While I usually skip breakfast (but never coffee! ), I can’t resist the lure of a hotel breakfast buffet. I was back at Feast for their breakfast buffet (MOP248) at 6:55am … and I wasn’t alone! Quite a few couples and families were also there ready to eat once the restaurant opened at 7am. After ordering two Americanos (Oh, just for me – I drink a lot of coffee…), I scoped out the food. While I’m no buffet snob, I do slightly prefer Asian over Western ones because of the sheer variety of savoury foods available. 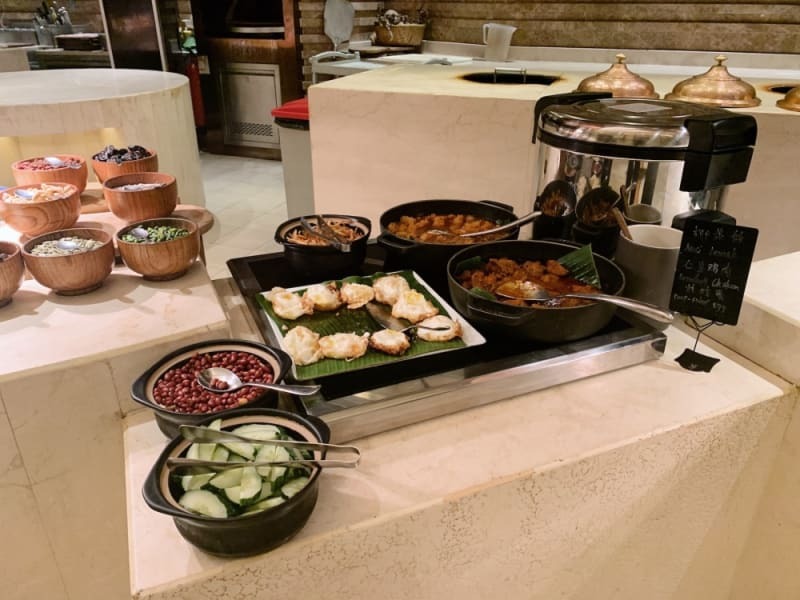 Given how much I loved the Indian station the night before, I assembled a plate of dosa and chutneys first, but this time, it was the nasi lemak station that stole my heart. 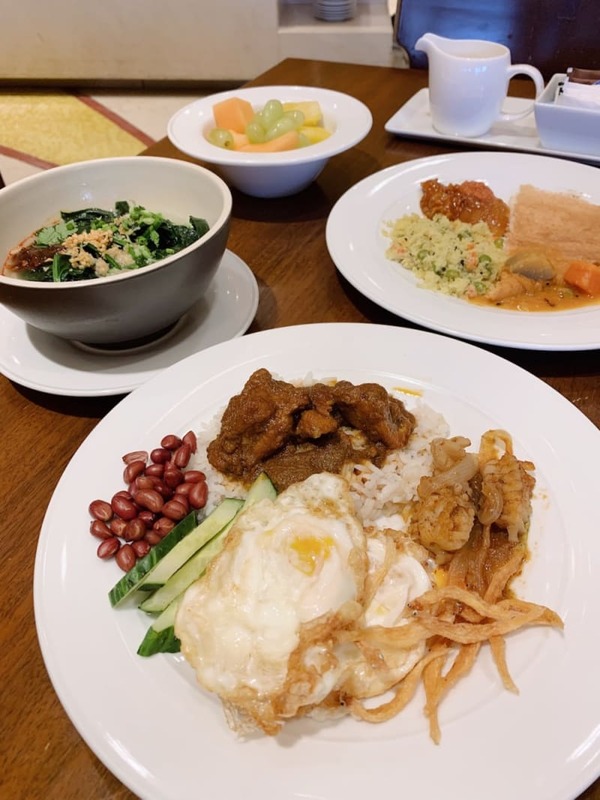 Having lived in Singapore for four years, I think I know my way around a good nasi lemak, and this one was quite delicious! The chicken rendang and sambal sotong may have been slightly less spicy than usual, but both sauces were full of flavour, as was the rice. And when I broke open the runny yolk on the deep-fried egg and mixed it in with the other sauces… heaven on a plate. 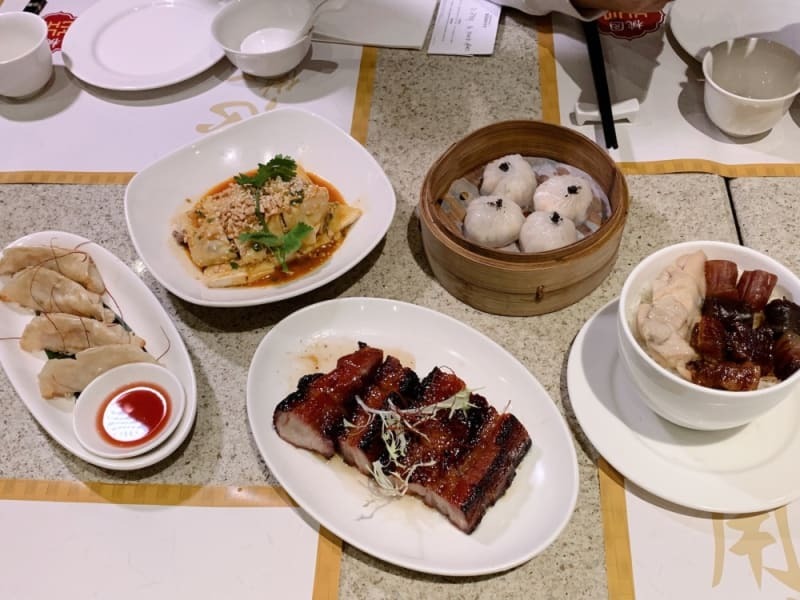 We ended our Sheraton food tour with dim sum at Yum Cha. This casual eatery offers a wide selection of affordable Chinese dishes. 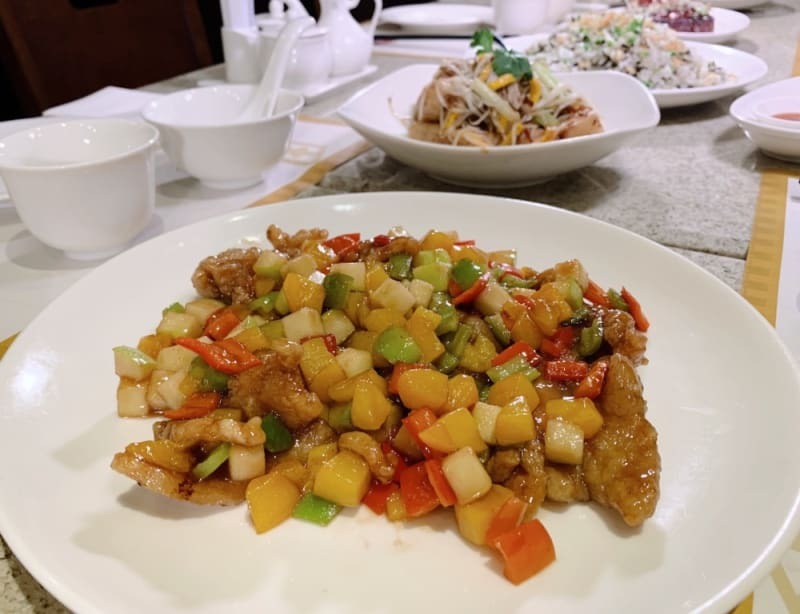 We tried a number of items, and I especially enjoyed the crispy black cod fried with garlic and chili (MOP138), the sweet-and-sour pork with assorted fruit and balsamic vinegar (MOP98) and the Ibérico char siu (MOP128). The food might not blow your mind, but it’s of good quality, and the service is fast and friendly. Sometimes it’s nice to get out of your home town for the weekend and indulge in a casual restaurant (or two) where no one knows your name and you can eat to your heart’s content. Sheraton Grand Macao has plenty of options for adults and children looking to relax and indulge before heading back to real life. This write-up is based on a complimentary media stay provided in exchange for an honest review and no monetary compensation. The opinions expressed here represent the author’s.